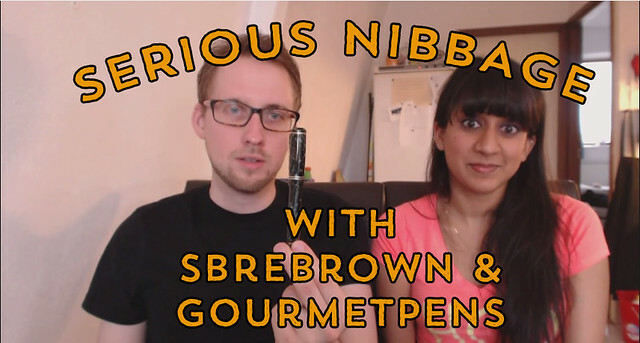 SBRE Brown and I talk about about the Conway-Stewart Winston fountain pen. Is this serious nibbage? Check out Serious Nibbage Part 1: Noodler's Neponset. Check out Serious Nibbage Part 2: Franklin-Christoph Music Nib. Thanks very much Azizah. Serious Nibbage has become my favourite pen video podcast. Very informative and very funny (great chemistry between you and Stephen). Have a wonderful time at the Tilburg Pen Show next weekend (I hope the exchange rate for Canadian dollars and the Euro is favourable).